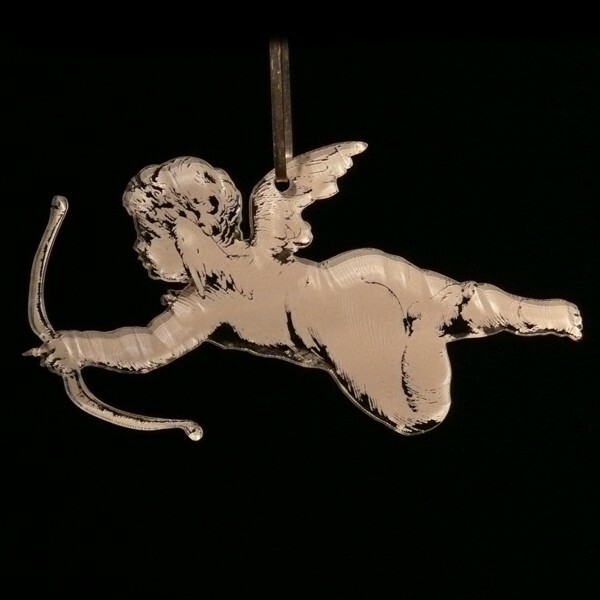 A hanging ornament featuring a cupid, based on an engraving in an old edition of A Sentimental Journey Through France and Italy by Laurence Sterne. Engraved on clear acrylic. 12cm arrow tip to toe.